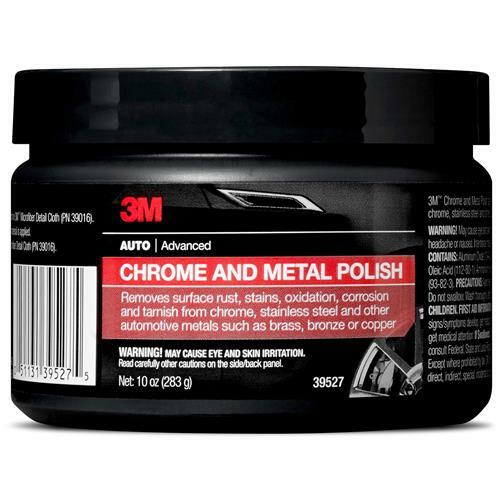 Restore that Mustang or Lightning to like-new condition with this 3M chrome and metal polish! Get your vehicle looking showroom new with this 3M chrome and metal polish! This polish brings out the reflective shine and sparkle of metals such as chrome, brass, bronze, copper, and stainless steel, while also removing or minimizing the pitting or spotting of certain metals. If you take a lot of pride in your vehicle, this product is the perfect addition for you. Make heads turn with your glistening mirror-like metals, and even possibly boost the resale value of your car! -This product is best used on wheels, trim, and bumpers.